The Grey sisters had only each other when their mother died years ago. Their father provided for them physically on Water's Edge, the ranch that had been in their family for three generations, each of them however, longed for their father's love. I wish I had a sister! After an accident (an attempted suicide?) Ruby returns to care for her stricken mother - bitterly resenting the fact that once again her mother's life has colonized hers. When she is approached by a publisher to write a biography of her mother, Ruby is desperate for the princely sum offered. Yet her research into her mother's past reveals a woman very different from the one Ruby expected. And what began as "mommy dearest" ends as a love story - not only between mother and daughter, but involving two very different men who play a key role in linking the past to the present. 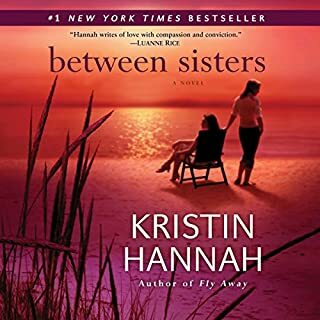 ©2001 Kristin Hannah (P)2004 Brilliance Audio, Inc. The story line has been done and done again, but having grown up in a broken home, I appreciated the story line and it was a nice grown up reminder that we really don't know all that we think to know about things that happened in our family / families life when we were kids. This book is wonderful!!!! I listen while I run - found myself crying while running... WOW! I am so sad this book is over!!!!! Totally full of cliches and dripping with sentiment suitable for a Harlequin Romance or a Hallmark movie. Not just that, but the plot was completely predictable. I kept thinking that there would be a twist and the story would develop into something more interesting, but it didn't - and eventually I just thought, well I've read this far, might as well finish. The only bright spot in this book was its treatment of one of the characters who is gay - spotlighting the horrendous cruelty that many in the LGBTQ community experience from family and community. The author portrayed him with compassion not often found in stories 15 years ago. 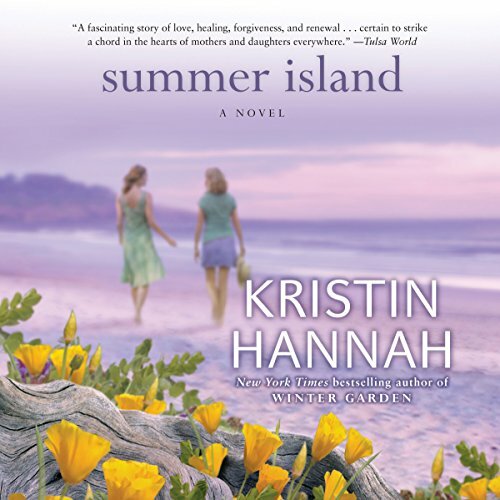 The perfect antidote to a wintertime cold and cough was being taken way to Summer Island and its beautifully crafted characters and well-spun story. I laughed; I cried; I cheered. There was lots of real-world wisdom imparted, and just the right amount of love and forgiveness to redeem the mistakes of the oh-so-human characters without making them too perfect or the plot too contrived. I thoroughly enjoyed this book. This book reminds you not to judge a book by the cover, or a person by a photograph. Written in a wonderful way not to judge other people, because we don't know their history and the why or how they got to where they are in life. The characters were real and genuine. 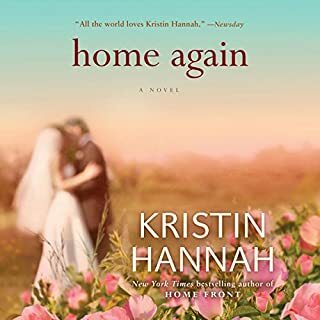 Kirsten Hannah is one of the best story writers of our time! Easy listening and I loved how the reader was able to transition the audience from character to character so smoothly. I always knew just who was in character alk the time. I give this book an "ok". 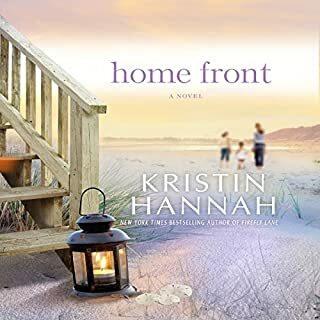 Just not as good as the rest of Kristin Hannah's books. Yet good to listen to in the car. I could not get into this book. Normally I enjoy books by Hannah, but this one was not for me. Wished it could go on. 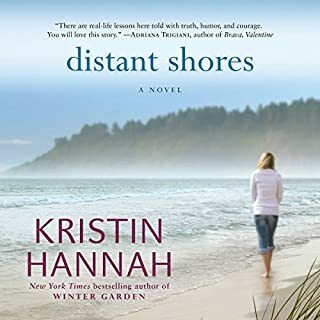 This book, like many of Kristin Hannah's was just wonderful. I have a close relationship with my sister and mother; every time I listen to her I want to call them and tell them how much they are loved. Kristen takes her character Nora to a place where she doesn't want to go. She finds compassion in places she would have never looked.She goes to rock bottom only to become a stronger woman for surviving the trip. 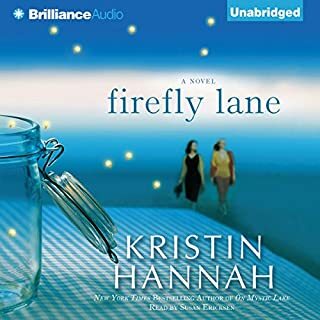 I was going to give this audiobook a rating of 3.5*, but the ending was so sweet and the scene at the 4th of July party nearly made me cry, so I'm rounding it up to a 4*. I didn't find this book quite as good as the previous novel I read from this author (Distant Shores), but perhaps that's just because the book was drawn out over a longer period of time as I didn't have as much time to listen as usual due to moving house and starting a new semester at university. It was definitely an easy listen, even if it wasn't as compelling as Distant Shores. 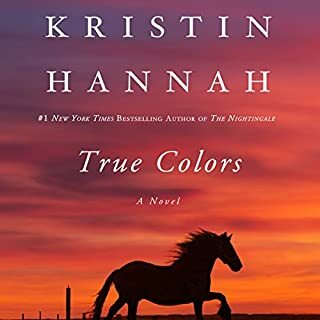 Kristin Hannah can be relied on to produce engaging women's fiction that deals with real-life issues and contains realistic, flawed characters with just a dash of romance.